Christmas, or Annual Gift Day as I like to call it, is rapidly approaching. Am I ready? Hell no. But I’ve done a couple of the most important things. I’ve put the tree up in all its plastic glory. This petrochemical masterpiece has been masterfully decorated in a lop-sided manner by my three year old and I’ve gracefully left it be because some things are more important than my OCD (at least that’s what I tell myself). I have not bought all the undies and socks. I haven’t mailed my cards to those few who still enjoy the non-vibratory buzz that you get when you receive something by snail mail. But I have done something very important – some Christmas baking! I made one of my favourites, cinnamon stars. 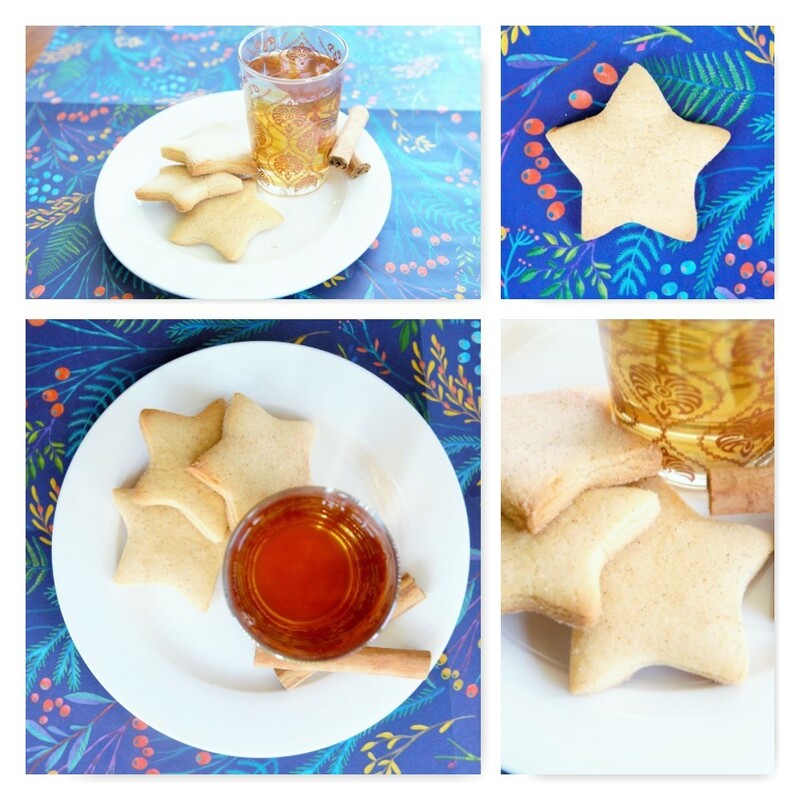 You can find the recipe here on Taste These lovely, simple bickies are a snap to prepare. Much like shortbread and go marvellously with a cup of tea. So since I baked, I must blog. And since there are bickies, there must be tea. And upon deciding that none of my tea was Christmasy enough the solution was obvious – buy more tea. So off I went to T2 to fetch some Ginger Spice, which I’d been thinking about ever since a lovely fellow made me up a sample in store a couple of weeks ago. 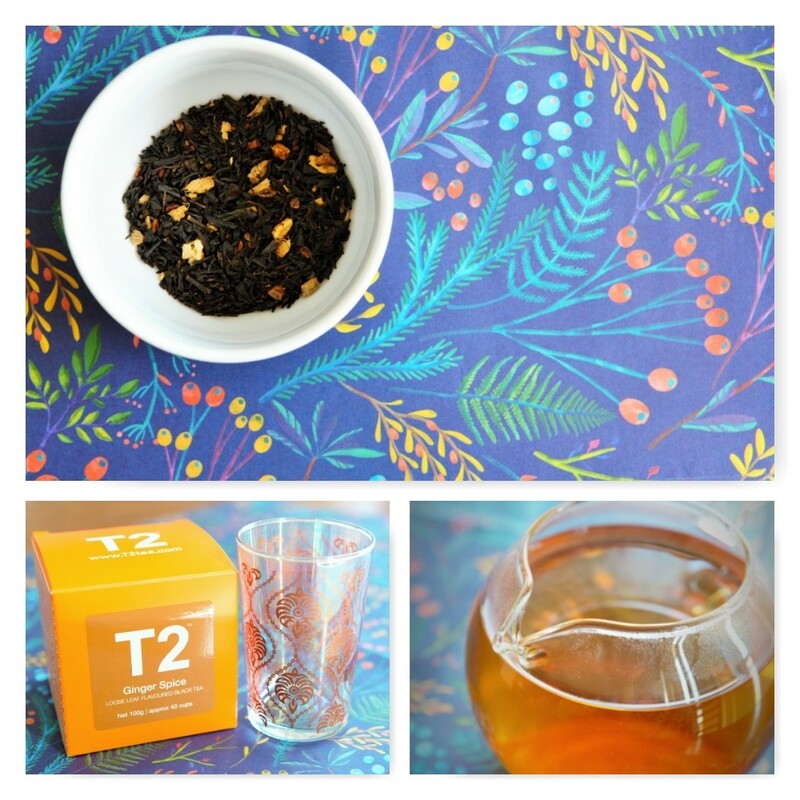 This lively brew is a gorgeous honey colour, which a well-rounded mix of flavours. Each sip starts with a warming ginger flavour and finishes with sweet cinnamon. Now I’ve never been a ginger girl (and certainly not a Ginger Spice Girl) but I find myself coming around to it more recently. But this tea. This tea. Ermagerd. Of course since I was at T2 it was important that I look closely at all the teaware. I found this beautiful painted teaglass and couldn’t part with it. I also found an opportunity to put my Better Homes and Gardens magazine wrapping paper to use! 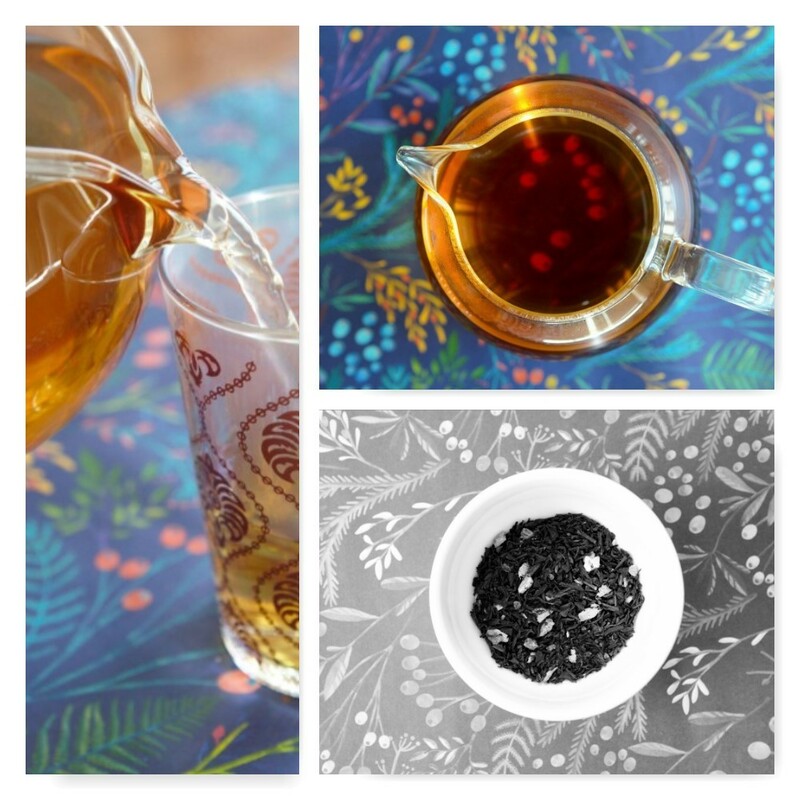 It didn’t magically transform into a hand-crafted Christmas decoration, but it did help decorate my tea photos. Maybe I could buy myself more tea and wrap it up! I’m a mum, we do that, don’t we? The bickies paired perfectly with the tea, to which I added milk and sugar but you could easily drink it without. The main problem is that you end up in an endless tea-bickie cycle. I’ll have some tea. That way I can has bickies. I’m going to have a bickie, guess I should have a cup of tea.